Join nearly 100 of your friends and neighbors who volunteer to bring this much anticipated yearly celebration to life for older Brooklynites who would otherwise spend the holiday alone. 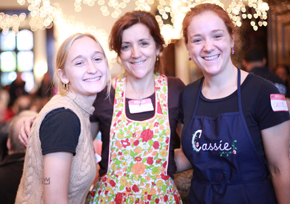 Since 1971, Heights and Hills has organized a Thanksgiving Day Dinner – collaborating for many years with Cobble Hill Health Center, the 84th Police Precinct and Grace Church Brooklyn Heights, where the dinner is held. 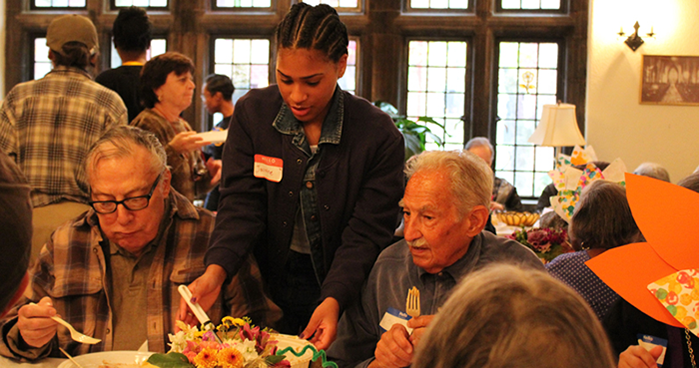 Volunteers assist in preparing and serving a seated dinner for 200 older guests, deliver meals to nearby older homebound neighbors, and share the joy in creating a wonderful family-of-choice.